Aeron Aether has been an integral contributor and dear friend of our management team since the earliest days of Silk's development. 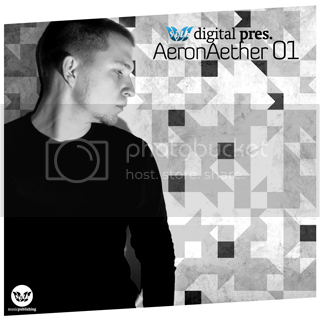 With an original goal of showcasing "intelligent breakbeat" along with progressive house to represent our imprint's brand, we looked to Aeron as a leader of the genre, whose sound could help define the "progressive" variety of breaks that we had grown to love. Over the past five years, Aeron has not only written many of our personal favorites, including the collaborative vocal track "Searching For A Memory", but also embraced a role as our label's chief mastering engineer, overseeing the final mixing of innumerable cuts across our 5 divisions. This 11-track retrospective kicks off with the fan favorite "Synthanelia", a breathtaking hybrid of orchestral instrumentation, trance-influenced synths, and clubby, peak-hour progressive house beats. These sounds could all fairly be described as Aeron Aether signatures, especially the soaring and often hauntingly beautiful strings. Other highlights include the aforementioned "Searching For A Memory", a collaboration with fellow label muse Mango, as well as a pair of collaborations with his occasional production partner Elfsong. Anyone who has ever had the privilege of knowing Aeron can attest to his exceedingly kind and generous nature, not to mention his exceptional talent as a composer.